Robin, you will be missed. I had a big post planned out, but instead I’m going to share this. Robin William’s death is hitting me strangely hard for someone I never met. Likely, a mix between the fact that I can relate to the struggles of depression and mental illness, but also, because Robin is a large reason that the ‘Disney’ magic is alive and well in my heart. Because he showed me that adults can dream and be more than just what the world expects of us, and that even the most bland, boring people have within them the capability to become heroes. Robin taught me how to fly when I thought I could never walk, to crow even when everyone around me said I couldn’t. He taught me that it’s better to be yourself, no matter how strange, instead of trying to hide behind someone you’re not. I could go on forever the things that I learned from his characters. From my understanding, he was a pretty swell guy in real life too. Kind and approachable, and loving to boot. My thoughts and prayers are with his family and with his children during this time. Thank you for all your laughs and lessons, good sir. I’d like to think you’re chilling with the J-man right now, making him laugh just as hard as you made all of us laugh down here. You're not the only person I've heard from that has said that Robin Williams' death hit them extremely hard. I think it's because there are so many people in the world who know someone (or who themselves are afflicted) with a mental illness. 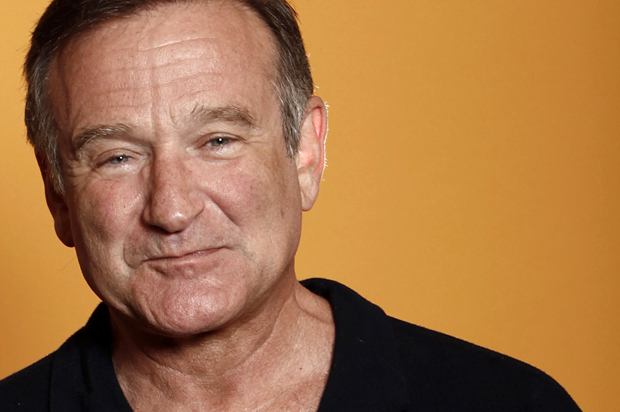 To see Robin go from what looks to be a depression related suicide is stunning and saddening all at once. It just goes to show that depression does not discriminate, and that there should be a far greater awareness of its impact. Well said Tabitha. The same for you, Tim. Robin appeared to be a gentle man with a huge heart. I understand what it's like to take everything around you to heart. I just hope that this shows people that no matter what your status in life, depression is real. And to those people who are suffering, help is there for you. You don't even need to see a doctor if you don't want to, but friends are there for you when you're at your worst. No one should suffer alone. Beautifully written. Last night I was thinking about all of the movies, tv-shows, stand up bits I've loved Robin Williams in over the years, and was amazed at how diverse an actor/comedian he was, but with one common thread, all of it made me happier for having experienced it. What a loss! It's hitting me pretty hard as well. He was one of the few presences that was there the entire time I was growing up — from Aladdin to Good Will Hunting. He had such an incredible talent that I'm thankful he was able to share with us. It's troubling that he couldn't find another way out of the sadness. That photo is so great for this post and also heartbreaking. I'm still feeling sad about his death, I can only imagine how much his family is hurting. Very moving post. I have also been very sad since hearing the news. Such a great man, it's just so heartbreaking to think he could have been hurting so deeply.